There are a myriad of reasons why you might suddenly find yourself in need of finance. For example, maybe you need cash quickly so you can exploit a business opportunity or keep your business afloat, or perhaps personal circumstances mean you need some cash quickly. 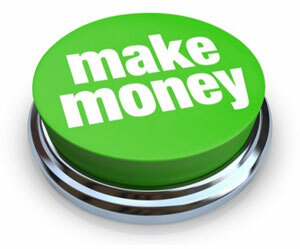 Here are few simple ways to make some extra money when you really need it. A popular way for the cash-strapped to make small amounts of cash is to complete online surveys. On the internet, research companies are always recruiting new members to test and review products, or even just answer simple questions as part of behavioural studies. If you have items of value, securing a loan against your assets is a better choice than simply pawning the items at a local “cash for gold” pawnshop. When you’re given a loan against an asset, the asset serves as collateral. You’ll be offered a loan amount based on the value of the asset, rather than on information like your credit history. Once you’ve repaid the loan with interest, the asset is returned to you. This means you get money when you need it and then recover the asset once you’re back on your feet financially. Today it’s common for people to have a few generations of unused cell phones lying around in their homes. Instead of letting them gather dust, you can send them off to mobile phone recycling plants. Alternatively, take your old phones to a second-hand store and see if you can sell them for cash. Now the world’s biggest resource for small jobs (or “gigs”) online, you can offer absolutely any service at all for a default price of $5. If you can provide a service, ranging from regular social media posting to writing or creating music, someone out there may be happy to pay for it. If you have a strong online presence, for example in the form of a popular website or a well-read blog, you can leverage your online popularity through affiliate ads. By signing up to services like Google’s publisher network, you can get paid for the number of times that adverts get displayed to visitors on your site. The more people visit, the more cash you make. It’s amazing how few people claim tax back, simply because it’s “too much hassle” or “too confusing”. Learn how to submit that IRP5 and e-file online. After you’ve done it once, it’s very simple, and you should make a pretty penny at the end of every fiscal year – assuming you’ve been paying your taxes! If you’ve finished a course of study, like a diploma or a degree, don’t let the text books you had to buy just gather dust in your cupboard. Instead sell them to someone who can make good use of them, and who’ll appreciate not having to buy the same books at new prices. If you have unused space in a garage or under a car port, you can rent out that space for a tidy profit, especially if you live in a busy area. Put an ad up on www.gumtree.co.za or in your area’s local classifieds and make some easy money without having to lift a finger. Submit your house or apartment as a location for film sets at a local film locations directory such as the location gallery or the location corporation. You may make some money off it, get your place on TV and possibly even meet some celebrities in the process! Like South Africa’s versions of eBay, Gumtree and kalahari.com are free, online classifieds you can use to convert your unwanted items into cash, for free. Instead of taking valuables to a pawn shop and getting a horribly undervalued offer, put them up for sale or auction on the internet.